Labor Day has passed and the gardens are producing at their peak. I’m sure that you have been enjoying cucumbers, peppers, beans, herbs, tomatoes and egg plants from your urban farmscape. What a healthy time of year! Food prices are at their lowest at the market. It is so easy to buy bushels of fresh seasonal veggies and fruits. I know that you aren’t thinking about winter, but if you want to enjoy some of these summer pleasures this winter, you should think about food preservation now. The three main ways to preserve food are by drying, freezing and canning. Herbs are easiest in that you can just dry them in a dry shady location and then seal in a jar. Freezing works best for some fruits and veggies, but canning may be the best method for longer preservation. 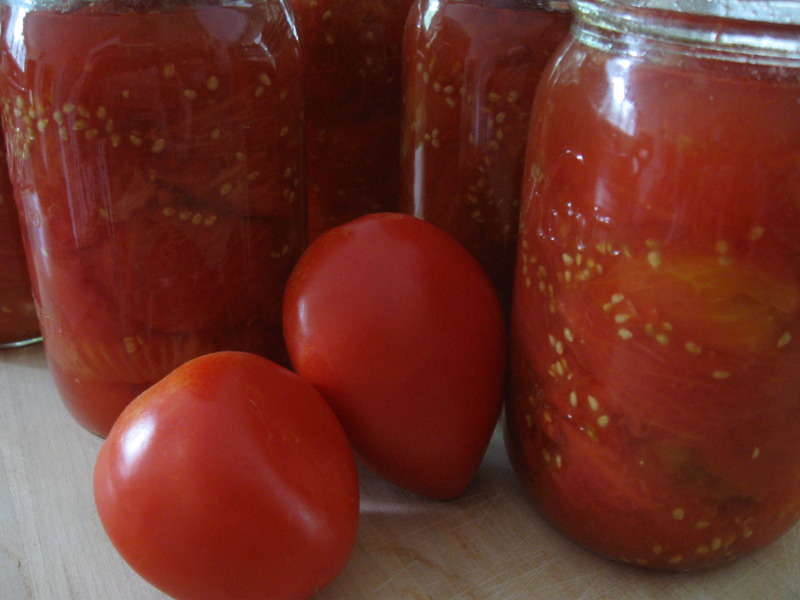 For high acid foods, like tomatoes and pickles, you would use a Boiling-Water Canner. For low acid foods you would need to use a Steam-Pressure Canner. I learned how to can tomatoes by watching my mom. As the youngest in a family of three, and living in the country, I was usually a helper in the kitchen. I remember my mom filling the stainless steel sink with fresh picked tomatoes and pouring boiling water over them. 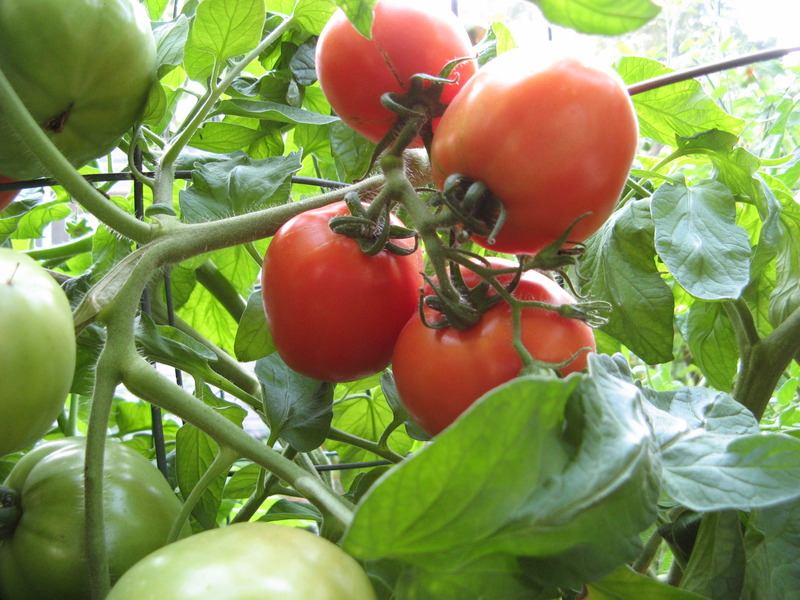 The steam would rise above the bright red orbs and mom would carefully pluck them from the water and while using her paring knife she would remove the core and peel off the skin, quarter the tomato, then drop the pieces into a glass quart jar. Once full, she would place the long handle of a wooden spoon into the jar of flesh and seeds, moving it around the edges to release the tiny bubbles locked in the bottom of the jar. She would wipe the rim of the jar and then it was time for my job. I would carefully measure salt into the worn metal measuring spoon and pour it on top of the tomatoes, watching the crystal substance disappear into the liquid. Mom would remove the gold lids from a shallow pan of boiling water and after placing them on top of the jar she would tighten them with a gold metal band. After placing them into the metal rack lining the inside of the big blue pot, she would lower them into the boiling water and set the timer by pushing in and turning the small black knob that was next to the clock on the stove. After processing, my mother would lift them out of the boiling pot and place them on a wooden cutting board. We would begin to hear the lids “pop” as the suction forced them inward to seal. Mom would say “there goes another one!” When cooled, we would stock the jars in the cupboard in the basement. The shelves would be filled with not only tomatoes, but pickles, applesauce, peaches and pears. If you have never canned before, I would recommend starting with tomatoes. It is really simple to do. And in January when the snow is flying, the best meal to make is from your tomatoes. Those along with using some fresh dried herbs will bring you back to this summer as you harvested and preserved the veggies from your garden, or maybe your visit to the farmers market. It’s fun when you turn it into a family event, or invite some friends over. Once you learn the process, you may be on the way to creating your own family secret recipes that you share at the holidays or sell at the market! To learn more about canning, you just need a book. I recommend any of these. Click on them to go right to Amazon.